Barry George, Jill Dando, Jimmy Savile, BBC paedophiles, Cliff Richard, Alan Farthing, Nick Ross and Britain’s dirty secrets Nick is married to Sarah Caplan the cousin of Esther Rantzen, who is also implicated in the Savile scandal. Caplan and Rantzen founded Childline which appears to be a ‘front’ organisation used to filter out callers who may have been the victims of VIP child-abuse. 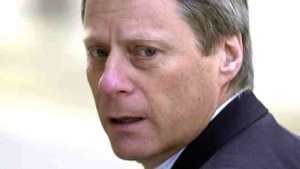 Nick Ross founded the ‘front’ Crimestopper’s helpline. This helpline conveniently stopped working following an appeal for witnesses to Jill’s murder. Is there more to Crimestoppers than meets the eye? Could it be that Crimestoppers is actually being used as a way of “gatekeeping” to filter out callers who may be reporting VIP criminality in the UK.